Skype for Business is an online messaging and video conferencing software that integrates with Office 365. 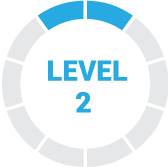 Its additional features compared to the personal version include cross-device communication, end-to-end security, server deployment, and more. In this article, we cover Skype for Business reviews and pricing. Ready to get started? Visit its website. Users who gave Skype for Business a positive review said the software makes it easy to connect with anyone on their team from any location. Some users also commended specific features such as its seamless integration with Outlook, recorded audio quality, and change presenter capabilities. Users who gave Skype for Business a negative review pointed out the outdated interface. Some users also complained about the poor quality of calls on average internet connections, multiple tabs per conversation, and a buggy mobile app. Skype for Business pricing is included in Microsoft Office 365, which offers three plans: Business Essentials ($6/user/month), Business ($10/user/month), and Business Premium ($15/user/month). The main differences between the plans include email hosting and video conferencing for up to 250 people. Ready to get started with Skype for Business? Visit its website. Can personal Skype users access Skype for Business with their existing accounts? No. Skype for Business users log in using their Active Directory ID. Personal and work contacts will not be merged. Personal Skype and Skype for Business also require separate mobile apps and desktop clients. What hardware is compatible with Skype for Business? Multiple hardware from different brands are compatible with Skype for Business. To be sure, users can purchase meeting room systems directly from the Skype for Business website. What’s beneficial about setting up the Phone System feature with Skype for Business? Setting up the Phone System enables call control and PBX capabilities, which can replace existing on-premise telephony hardware. The phone system may also be paired with direct routing or a calling plan for full calling capabilities. Have you read these Skype for Business reviews and are still not sure if it’s the right fit for you? Read our reviews of all top video conferencing software. I like this wonderful tool which I maintain communication with part of the company. I can easily send instant messages and I can integrate the scheduling of outlook meetings and the programs such as OneNote,Excel or Word. You need a good internet connection for Skype to function well.I like everything about this tool and its really recommendable and suitable for all kind of businesses. Nothing I can remember. Though I was aware of it even before implementation. Skype is an excellent platform for meetings and conferences, combining chat, video calls and collaboration, it works very well to meet my goals in my company because it saves me a lot of time, and I also like to be able to manage my appointments and meetings better managed online from Outlook. It is a powerful and useful commercial tool that adapts to the communicative needs of each sector of the company, it is multiplatform and very easy to use, the ICT person of the company will be delighted, you will have a complete business communication software, it also has very positive aspects in the collaboration and it is excellent for private use. Skype for Business has very good audio and video quality.My favorite part is when I draw up drafts on the board.I can send messages instantly and I can integrate the scheduling of outlook meetings and other programs such as Excel or Word. The fact remains that you need a strong Internet connection for Skype for Business to function properly. Apart from that am entirely satisfied. I wish I knew how easy it is to use and how it has good video and audio quality. I have always used Skype to communicate and share files with my clients without any problem. I would have liked to know that I could record the video conferences from the beginning since it is a very useful function for me when reviewing the key points of the conference. Skype is very useful and helpful in connecting people. It provides one of the easiest user interface. Video Conferencing on Skype is very easy and the quality of the video is very good. The ability to send files is helpful, as well. Skype for Business offers several beneficial tools that I use daily for work. Some of its most powerful desktop features include group chat Very easy to use and can be used on the mobile phones even. Doesn’t demand a great internet connection to keep a good-quality call. Having multiple Chats/Conversations open, make Skype unresponsive from time to time. When sharing your desktop screen, there is lag. I would like to see a smoother quality. Sometimes you are kicked out from meetings, without any notice or apparent reason. 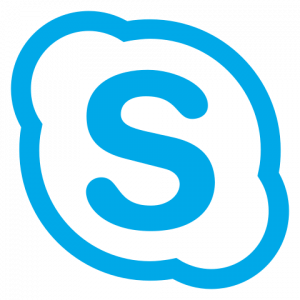 I have been using Skype since last 5 years and it has always been very helpful. There was no other tool which i was using so regularly for video conferencing. So i can say that this is most helpful video conferencing tool that i am using.